Originally published in 1993. The purpose of this volume is to lay out documents which give an estimate of Mark Twain as a humourist in both historical scope and in the analysis of modern scholars. The emphasis in this collection is on how Twain developed from a contemporary humourist among many others of his generation into a major comic writer and American spokesman and, in several more recent essays by younger Twain scholars, the outcomes of that development late in his career. 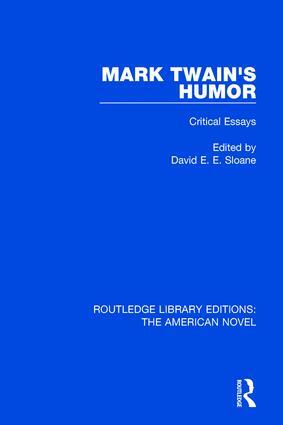 The essays determine how the humor takes on meaning and importance and how the humor works in a number of ways in the literary canon and even in the persona of Mark Twain. Is The Philippine Policy of the Administration Just?